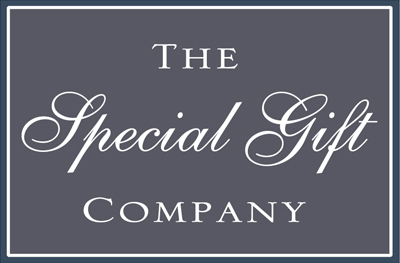 The Special Gift Company is an online gift emporium with a unique and beautiful hand-picked collection of presents for every occasion. Our five Categories:- Gifts for Her, Gifts for Him, Home & Stationery, Baby & Child as well as Greeting Cards; are overflowing with inspiration for you to find the perfect special gift for the special people in your life. The Special Gift Company is run by Michele & Alison Rogers, “yes” we are sisters working together and still get on famously ! Our interest in gifts and love of finding the perfect present started many years ago when our family bespoke printing firm occupied a charming shop just off New Bond Street. We produced on the premises beautiful invitations for special events. Looking to make better use of our retail space it seemed a natural progression to sell gifts related to these great celebratory occasions. We both really enjoyed the gift side of the business and the challenge of finding wonderful new products. In 2016 at the end of our shop lease we decided to take our gift collection exclusively online. The joy is now being able to discover an even wider range of fabulous special gifts. We hope you enjoy looking at our website and find that perfect gift.